Today was an intense day of application development. The startups arrived very early in the morning to get to work on their Windows Phone apps—what dedication! The participants are very excited about this opportunity, and they are willing to work hard to make this event a success. We also saw this commitment through Motivity and iLink who had their developers working through the night on design and application coding. Needless to say, we are busy developing, coding, and designing round the clock! The startups are already showing good progress with their wireframes and initial coding complete. 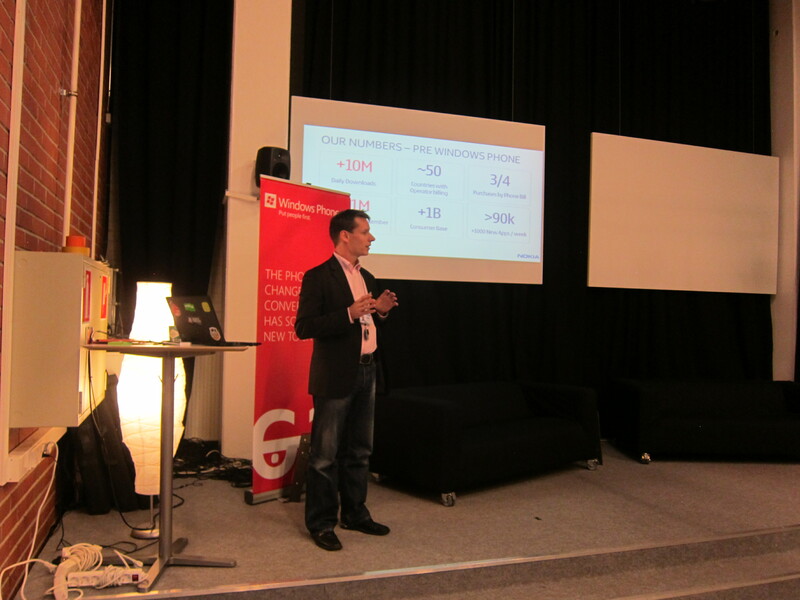 We also heard Mikael Stendahl, Manager of Ecosystem and Developer Experience at Nokia, present on Merchandising with Nokia in the new Windows Phone ecosystem. The startups are definitely gaining the experience they need to be successful, and we are eager to see what tomorrow has in store. We will keep the interviews and updates coming each day, so stay tuned! And, as always, the event is streaming live via Twitter.